The Lightning flash drive helps you backup your data from your iPhone and iPad, and USB 3.0 interface offers high-speed transmission. Sounds cool? Let’s go on for iKlips USB flash drive. 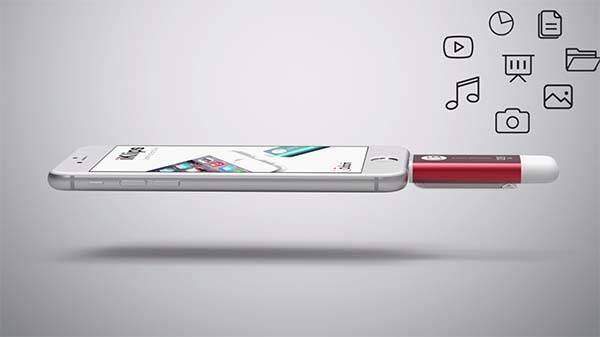 The iKlips is an award-winning Lightning USB flash drive that measures 22.2 x 66.5 x 11.35mm. The USB drive sports a sleek and compact design and comes with an aluminum casing for durable construction and exquisite appearance. The USB drive features an integrated Lightning connector in order to connect with your iPhone or iPad, using it to backup your photos, documents, music, videos and more from the iOS device, and it also supports 1080p HD movie streaming and direct playback. 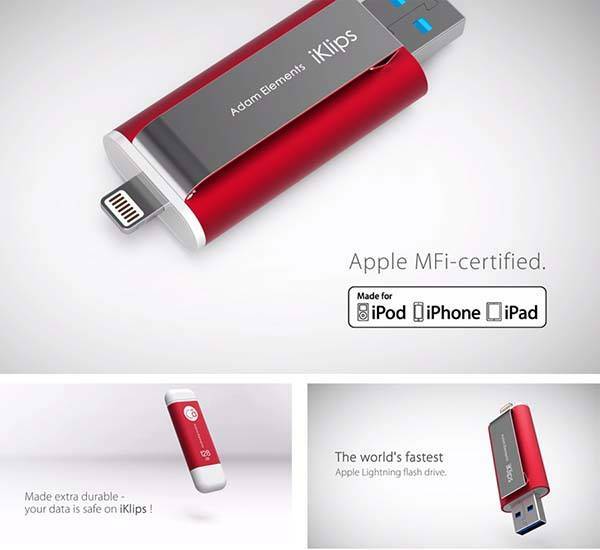 Furthermore, iKlips also has a USB 3.0 connector for high-speed data transmission between computers. The crowdfunding campaign for iKlips is in progress. 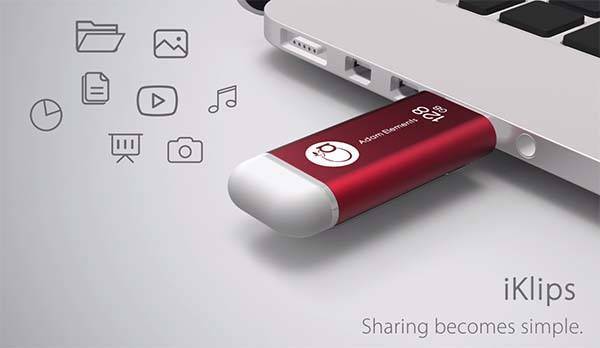 You can pledge $49 to preorder the Lightning USB flash drive with 16GB. If you’re interested, jump to Indiegogo official site for more details.